According to a report published by the Center for Disease Control and Prevention, in 2010, 1 in 5 teen drivers involved in fatal crashes had some alcohol in their system. Significantly, 81 percent of these drivers had a blood alcohol concentration level higher than the legal limit for adults at the time of the fatal accident. Younger drivers are actually 17 times more likely to die in a crash when they have a blood alcohol concentration of 0.08 percent than when they have not been drinking. As car accidents are the number one cause of death for teens in the United States, it is clear why safety measures need to be undertaken to prevent these accidents. The silver lining to these tragic statistics is that these accidents are totally preventable. 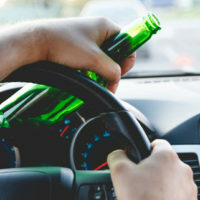 For adults who can legally drink, the limit to the blood alcohol concentration that adult may have when climbing behind the wheel is 0.08 percent. However, it is completely illegal for anyone under the age of 21 to drive after drinking any alcohol in every US state, including here in Florida. Why Do Younger Drivers Have So Many Alcohol-Related Accidents? Inexperience. Naturally, younger drivers have not had as much time on the road as their older counterparts. They also have not had as much time to experiment with alcohol and learn the specific limitations of their own body. The combination of inexperience with alcohol and inexperience with driving is clearly a terrible one. Invincibility. Younger drivers have grown up in a video game world where a character they are playing can die and be brought right back to life. Further, to many younger drivers, the prospect of death seems completely remote and happens only to people who are much older. As the dangers of drinking and driving may not even seem real, this invincibility becomes clear. Distracted Driving. In comparison with older drivers, younger drivers are more likely to have friends in the car, to be playing with their phone while driving, and to attempt to do multiple things at once just as they have grown up doing. Unfortunately, driving is an activity that requires focus due to the ever-changing road and this behavior creates significant room for error. What Can You Do to Help the Young Drivers You Love? Have You or a Loved One Been Injured as the Result of a Young Drunk Driver? If you or a loved one has been injured because of a young drunk driver, contact us today. The Orlando personal injury attorneys at The Pendas Law Firm are experienced in helping people like you recover the compensation that you deserve. Contact us today to schedule a free initial consultation.